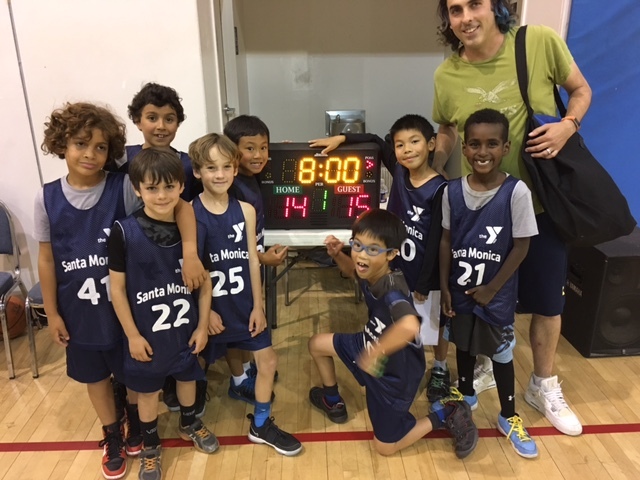 The four league championships for the Spring 2017 youth basketball league at the Santa Monica YMCA all came down to the final tournament game on Championship Sunday, and by the time the courts were once again silent at day’s end, two teams had earned their crowns in rather easy fashion and two others had to scrap and claw their way to the top. We begin with the Major League, where the magic made short work of a depleted Dreams team that was without star guard Dylan McFarland (a trip to Africa) and credible big man Ryan Abousseua. Dominic Drew of the Rookie Typhoons moves downcourt during championship game action. Photos by Pete Arbogast. Miguel Picazo dominated the game individually and controlled much of the action on both ends of the floor, scoring 14 to go along with 11 rebounds in a decisive 45-21 victory. Siggy Dalgas, Sebastien Worsham and Gian Luca Tosonotti all added 6 points in a very impressive team performance. Add to that total four more points from Bruno Bernacchi and Aron Zakharin and a basket, the first of the game to get things going, by Charlie Downey. Other members of Coach Jim Fleigner’s team that will be honored on banquet night (June 15) are Ian Mackinnon, Bruno Picazo and Keegan Fleigner. If the Dreams were to have any chance at the upset, they would have to hit some of their trademark three point shots. They did not (0-10). The Magic also did a good job defending Dreams’ big man Andrew Daouda, holding him well under his season average in scoring and rebounding. Nasim Nasimov led the Dreams with 8. 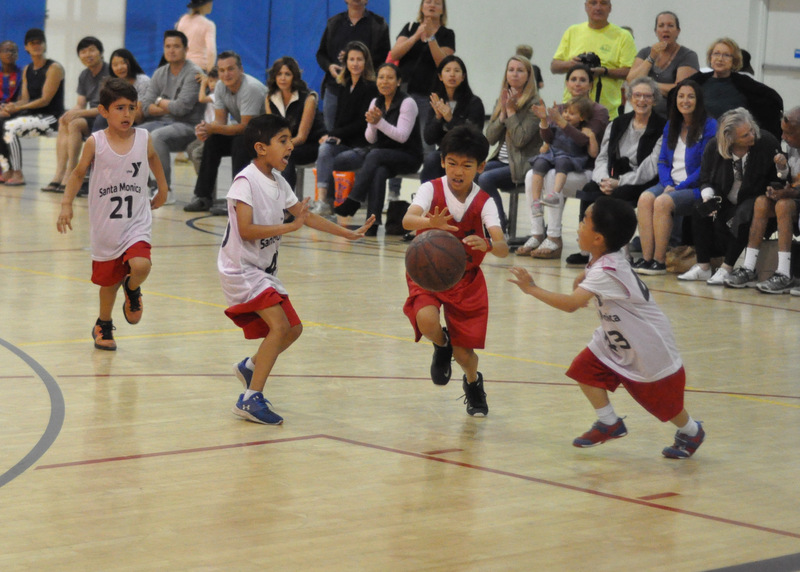 –Earlier in the day, the Goats held off the Glide in the tourney third place game, 36-31. Zion Qurtman missed a double double by a basket with 8 points and 20 rebounds. Nine points each were dropped in by Dash Decker (all on three pointers) and Keenan Bryant. With his team in arrears 27-12 at halftime, The Glide’s Ben Turkel took matters into his own hands, outscoring the Goats 12-1 by himself in the third quarter to bring his tam back to within 5 at one point, 27-22. He ended up with 17 points and 14 rebounds in another standout performance. Rookie league championship game action between the Typhoons and Hurricanes. –On Saturday night, the Big Dippers salvaged what was left of their season by taking down the Legends, 38-31 in the “B” tournament consolation game. Tied at 14 at the half, the Dippers played the better ball in the second half and wore down the Legends, who will try to break into the win column with one last game vs the league all stars this Saturday afternoon. Nasir Luna and Yissi Tewodros split 21 points as evenly as you can for the winners. Jared Lewin dropped in 10 and Drew Gelfand had 17 rebounds to lead the Legends. The Minor League final was not as lopsided, but was still relatively easy for the champion Skywalkers, 23-15 over the Doctors. Arjun McIntosh gave the Skywalkers the lead for good at the 2:30 mark of the third quarter, 8-6. Cy Backen’s 12 footer from the left side of the lane made in 10-6 with 30 seconds left in the quarter, but Jacob Puente’s follow up of a missed shot for the Docs gave them hope, at the buzzer, down only two at 10-8. Backen dropped in another bucket after a scramble near the basket heading into the sub break, it was still a game at 12-8. Conrado Farrell’s steal and coast to coast layup made it 14-8, and the game looked over, especially since the Doctors simply could not find the bottom of the net, despite many opportunities throughout the game with good open looks. Not one of the Docs could muster more than a single basket, including Puente who had 13 boards. On the wining side, Aidan Murphy grabbed 15 rebounds. 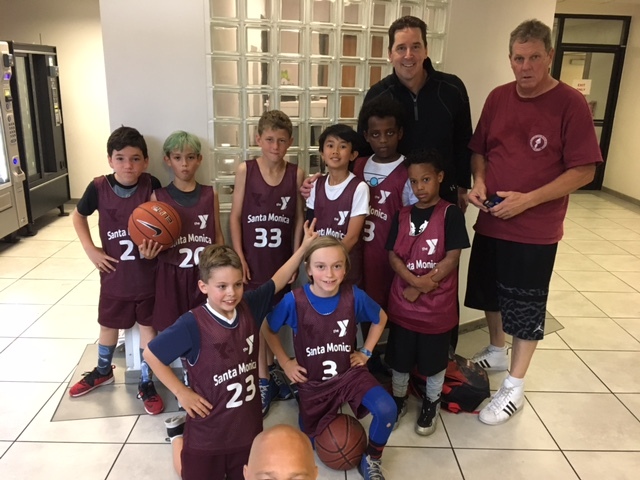 Members of Coach Jeff Glowacki’s championship side also include: Alejandro Poza, Joey Little, Sasha Yansen, Milyon Mitchell, Yohwannes Dagnew, Connor Huddle and Jaxson Glowacki, who was out of town for the final game. –There were two other Minor league games played over the weekend and one on Monday night. In a “B” tournament semi final, setting up Monday’s title game with the Admirals, the Pearls won their second game of the season, besting the Mambas, who will face the Pistol Petes in the penultimate game of this regular season this Saturday morning before the Parents vs Kids games begin, taking out the Mambas, 28-22. The Pearls built up a pretty healthy lead of 13-6 by halftime, and even when Jackson O’Neal of the Mambas hit a three point shot out of the third quarter sub break, it was still a 6 point lead at 15-9. But on this day, the Pearls were scoring inside and out and despite some sloppy play late in the third and poor clock management, still led 19-11 heading into the fourth quarter as the Mambas could not capitalize. Zoe Debenning got into the act with a basket early in the fourth making it a ten point cushion. But Brayden Stoll (12 points/13 rebounds) had other ideas and tried to bring his team back with three consecutive baskets to make it 21-17 with under a minute to play. Coral Izen banked in a shot to up the lead to 23-17 and seal the outcome. Ari Potmaianos had a 12/10 double double and Izen scored 7 in the win. –In the “A” tourney 3rd place game, the Wizards and Icemen battled to a 16-16 deadlock, clinching third place overall for the Wizards. Lukas Greblikas tied the game at 12 with 6 minutes to play in the third on a pass from Donovan Blackwin. Noah Kratz untied it for the Icemen, but Greblikas knotted things again at 14 with 40 seconds of the 8 minute fourth quarter depleted. Lorenzo Stabilini put the Wizards on top with 6:40 to play, leaving it to Mathew Mirich to finish the scoring for the day with only 38 seconds left in the game. The Wizards Eli Eng, along with Kratz and Mirich of the Ice all led the scoring for the day with 6 points. Both teams had four free throws post game to try to win it but none of them found their way in. –On Monday, the Admirals got out to a fast start and never looked back in defeating the Pearls 29-15 for the “B” tournament championship. Ben Adelman started the scoring with a three pointer from the top of the key, Nathan Kaspher hit a bank shot, Nifty Tewodros and Adelman scored and by the time Coral Izen broke through for the Pearls it was 9-2. It did not get any better for the Pearls, who were stone cold all night long. Jaden Fishman, Adelman and Tewodros all scored 7 points with Tewodros the high rebounder for either team with ten. The Bantam final came right down the wire and then down to post game free throws. There, Miles Aguilar dropped in three out of four to win the game—and the league championship—for the Colts, 16-14 over the Broncos. Ariel Aframian’s three pointer on the Colts first drive of the second half tied the game at 9-9. 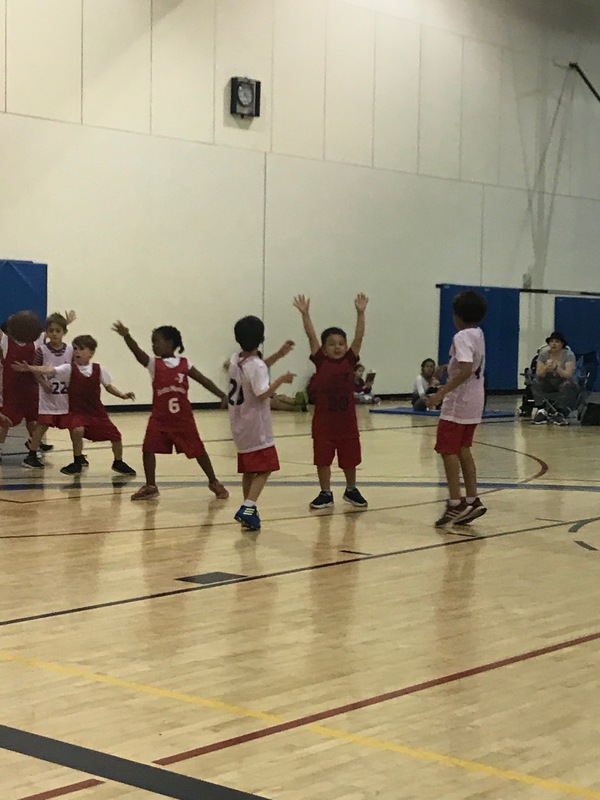 Asser Tewodros put that team on top, 11-9 but after it was again tied, Julian Haggart of the Broncs, who had another fine game scoring 10 points, hit a three point shot to put them up 14-11. Going into the final sub break. The Colts’ Rowan Booher cut into the lead with on of his two baskets on the day with 2:18 to play. That was the way it ended, leaving it up to Aguilar to tie the game, then win it. Other members of coach Shannon Booher’s championship Colts team are: Connor Wong, Leo Mooney, Justin Tun, Ronan Hill, TJ Turner and Atobek Nasimov. The Clydesdales edged the Thorobreds in the “B” tournament consolation game, 20-16. The first basket of the game was scored by Marko Zelenovic of the Clydes but not until there was 4:20 left in the second quarter! Good free throw shooting at half time by both teams made it 6-3 Thorobreds. Clark Elliot (7 steals) brought the Clydes back to within a single point on the first drive of the second half, then had to wait almost 8 minutes of playing time before giving them the lead in the opening sequence of the fourth period. The Thoros reclaimed the lead briefly at 8-7 on the next trip when Evan Chang converted a steal into one of his three baskets on the day. Sascha Mason, made it 9-8 Clydes, but Chang scored again to put the T’s up by one once more time. Mason’s turnaround from Rohan Sujan put the C’s on the top of the see-saw 110-10 with just 2:30 to play. Chang flipped it again, then Jaiden Sujan scored with a half-minute to go and the Clydesdales led 13-12. Alex Brick’s post game free throw tied it up and there it stayed. –In the “A” tournament 3rd place game, the Palominos pounded the Mustangs, 22-14. It was 11-2 at the half and the Pals never were threatened. 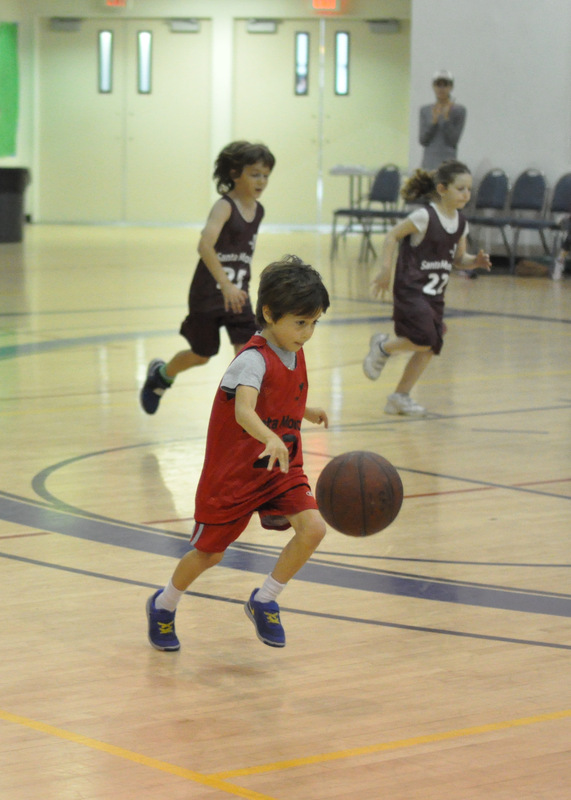 Jake Ronn scored 7; Kate Beckerman 6 in the win. The Rookie League final came down to post-game free throws, and afterwards, despite a tie game, the Typhoons could celebrate a league title by virtue of better overall record all season long. It was a pretty quiet first half. 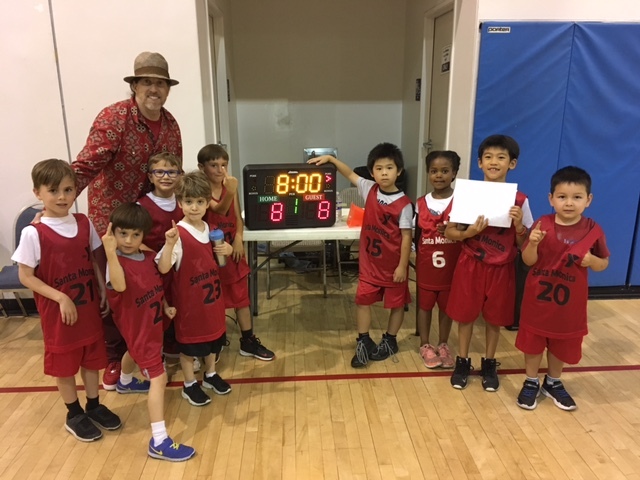 Ethan Olson-Shahar scored the first basket of the game, and after Dominic Drew of the Typhoons tied it with an odd-angle shot, netted a half time free throw for a 3-2 Hurricanes lead. Cooper Kun scored on a follow up for the Typhoons with 6:06 to play in the third quarter to put them up 4-3. Sammy Levi, who had a couple of free throws in the bank from being fouled in the act of shooting earlier in the half, then hit from the left baseline to make it 5-4 Canes at the third sub stoppage. Ryan Schuster put the T’s back in front with 5:40 left from 13 feet away 6-5. After a scramble for a loose ball, Kun found the bottom of the bucket and it was 8-5 when the game ended. Ah, but the Hurricanes had 6 free throws. If they could hit four, which for rookies would be an amazing feat, they would be league champs. Alas, they sank only 3 of 6, leaving the game tied, and the title belonging to the Typhoons by the barest of margins. The remaining members of Coach Paul Drew’s championship Typhoons are Jemima Hagan, Eros Lopes, Ben Saunders, Henry Brown, Noah Hagooli-Bolanos, Jacopo Stabilini, and Aiden Lin. –To get to the final, the two teams had to win semi final games on Saturday morning. The Typhoons did their part in taking down the Monsoon 13-6. Virtually all the scoring was done in the first quarter: River Zelenovic for the Monsoon and Kun and Schuster for the Typhoon. Schuster hit another in the fourth to put what was a close game until then, away. Zelenovic had 8 rebounds and the same number of steals, and Ben Steelman had 10 rebounds for the M’s. –The Hurricanes advanced with an easy 24-13 win over the Breeze. Levi, who had a really nice weekend, scored 6 as did Olson-Shahar, who was a steal away from a double double with 9 of those and 10 rebs. –In Saturday’s tournament consolation game, the Tornados slipped past the Zephyrs 12-8. It was 9-3 in regulation time, giving you a fair idea of the defensive pressure applied by the winning team. Cassius Taylor led the Tornados with 6 points and 6 steals. –In Sunday’s 3rd place game, the Monsoon pitched a shutout in topping the Breeze 8-0 in regulation time (15-8 overall). Asher Zaczepinski led the way with 5 points, 10 rebounds and 7 steals. Steelman again had double figures with 11 rebounds. This week concludes the playing season and another year. Saturday we have fun with the Kids playing the Parents and others starting at 12:50 with the rookies, followed by the Bantams and Minors. Then after the aforementioned Legends game in the Majors, the first ever alumni game as past players from 2011-2016 will meet the Major Leaguers. On Sunday, it’s the parade of all star game all day long. See the rosters to know which game you are in. The post-season awards banquets are next week, a perfect way to wrap things up and head into another great summer. On Thursday, June 15, the Major league banquet begins at 5, and is followed at about 6:30 by the year-round awards, where players who have played all three seasons this year (fall, winter and spring) can and will be honored. 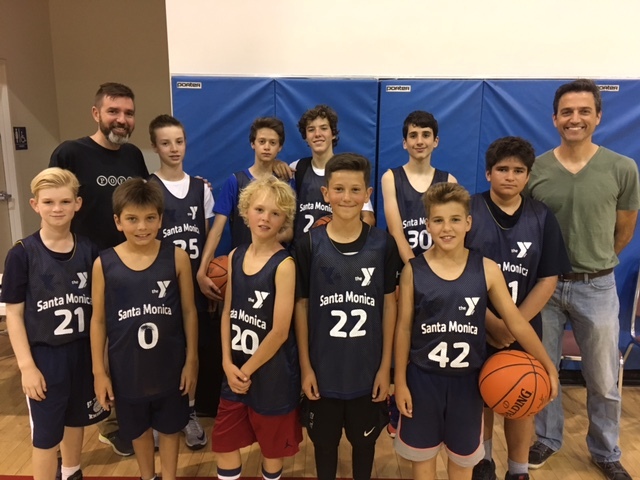 This includes our naming of the Santa Monica YMCA player, coach, and ref o the year, plus most improved and most inspirational players, and the all-Santa Monica YMCA team players will all receive certificates. Overtime games are only allowed in games in which a team must advance to another round of a tournament. And all-star games or games vs parents. But not regular season games. If your child is injured during the course of the game, please hold off on the urge to rush out onto the court. Give them at least 30 seconds to gather themselves (unless you absolutely KNOW it to be a major injury). The game referees and your coach will be first responders and make sure the player is okay and assess the situation. Uusually after 30 seconds the player is either back up and ready to play, or sometimes heads to the bench for a breather and to regroup. 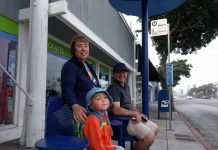 You can visit them on the bench at this time if you wish. If the player is more seriously injured, certainly we want you to come out to your child, just give it a little time before you do. 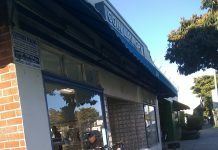 If you have an issue with your coach, please bring it up with them. 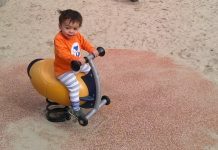 If you do not feel comfortable doing so alone, have another parent listen as you speak to the coach. If you still can’t iron out a solution, we will set up a meeting with me and the coach and you all in the same room face-to-face.